About ten years old, this metal chandelier with a dark pewter finish and hundreds of graduated lucite prisms is a fantasy. Even the original ceiling cap is bejeweled. 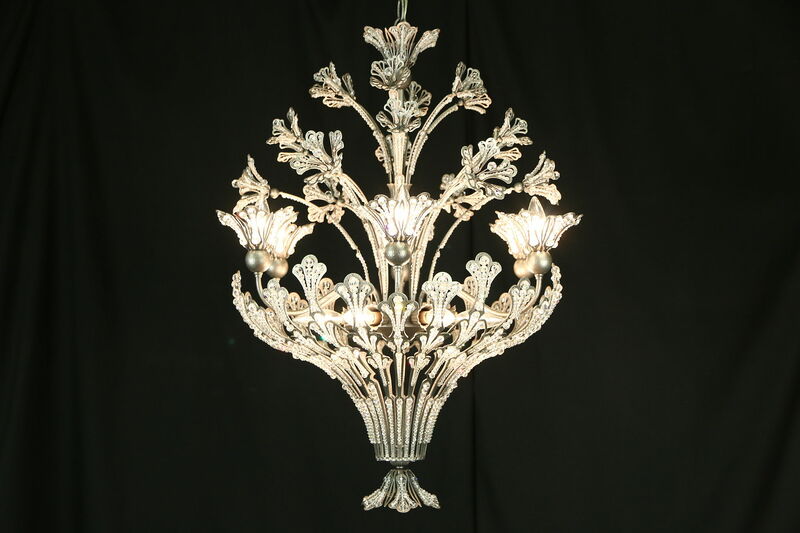 Twelve candelabra base lights sparkle inside this vintage light fixture. Size is 24" diameter and 33" tall, excluding the adjustable chain and cap.